On Monday, March 25, a new follow-up meeting of the LIFE Zero Cabin Waste Project took place. 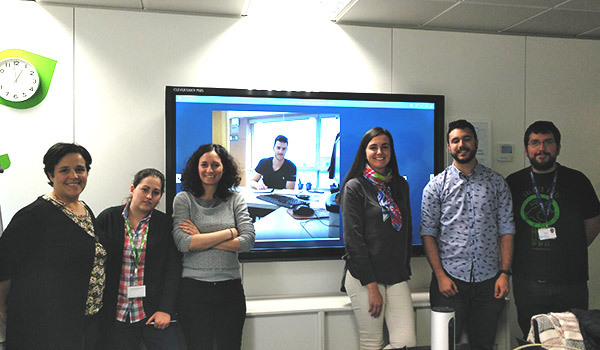 On this occasion, the meeting took place at the headquarters of Ecoembes in Madrid and was attended by representatives of the partners of the consortium: Iberia, Gate Gourmet, Ferrovial and Ecoembes in person and ESCI-UPF through video call. Transfer, in charge of the compliance management, was also available through video call. The main objective of the meeting was to clarify doubts regarding the preparation of the next report to be submitted to the European Commission, the Progress Report. Through this report, the European Commission is informed of the status of the Project’s progress at an administrative, technical and financial level. This is the second report delivered to the European Commission and the last one will be made at the end of the project. In addition, the different actions in progress were reviewed and, especially, those that must be addressed in the coming months to achieve the expected results. Representatives of Gate Gourmet, Ecoembes, ESCI-UPF, Iberia and Ferrovial after the meeting.